I TEND TO HAVE THE HABIT OF RATING MY TRAVEL EXPERIENCES, MAKING A TOP 10 LIST IF YOU WILL. NZ has treated us well, I have had many unforgettable moments that I will cherish for the rest of my life. That said, I estimated that about half of all the wonderful incidents happened in this single day. We began with spectacular weather. The West Coast is a beauty but its torrential rains would often mask everything. We were exceptionally thankful to have bright skies, and endless views of the coastline. 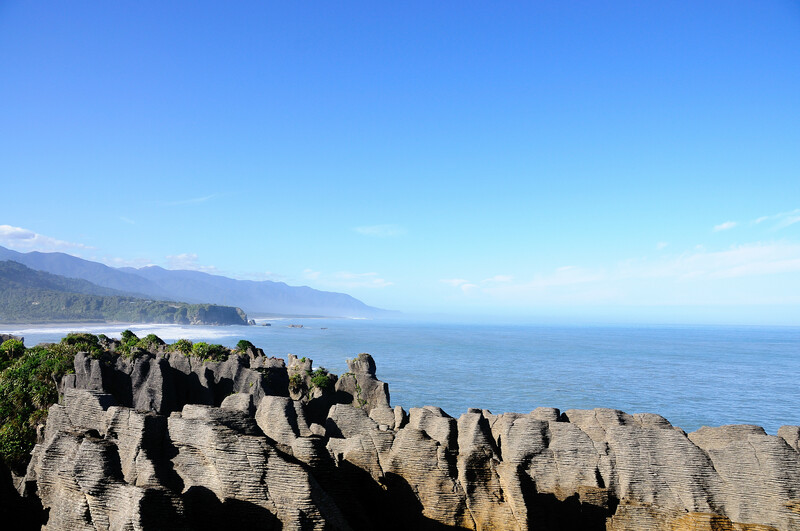 En route to Charleston, we stopped at Punakaiki, famous for its pancake rocks. These are bands of limestone, worn away by thousand of years of unforgiving rain and wind, forming gigantic structures that resemble pancakes (hence the name). During high tides, the caverns receive spume of sea water through vast blowholes. There are many tracks worthy of a day’s hike but we were cramped for time so maybe next time. “YOU ARE IN FOR AN EXPERIENCE OF YOUR LIFETIME,” THE RECEPTIONIST TOLD US WHILE HER EYES LIT UP WITH ENTHUSIASM. After finishing the formalities at the counter, the staff at the Charleston Tavern Underworld Adventures gave us a friendly explanation of our journey. “When you look up into the caves, you’ll see millions of glowing stars, it melts your heart.” The lady receptionist in her fifties, was so engaged I can almost visualize myself in the caves. Glowworms are a funny bunch. They are only found in some places in NZ and Central America. They give out an eerie yet mesmerizing green glow to attract bugs (their food), and in Charleston, you get to visit them on a caving/rafting trip. 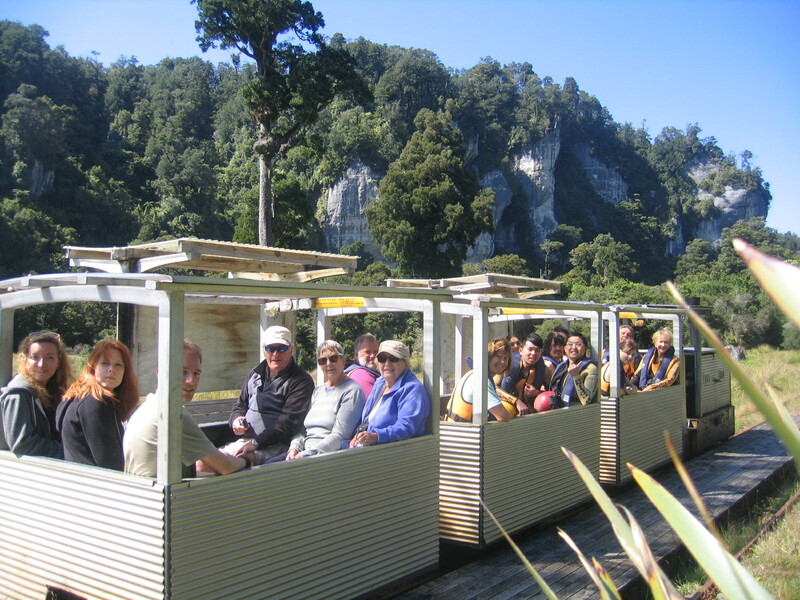 First, our group travelled through the rainforest on a bush train. The train, affectionately named Cecil, was having trouble getting up for work. The owner eventually ended his tantrum after getting some help from an old mechanic. 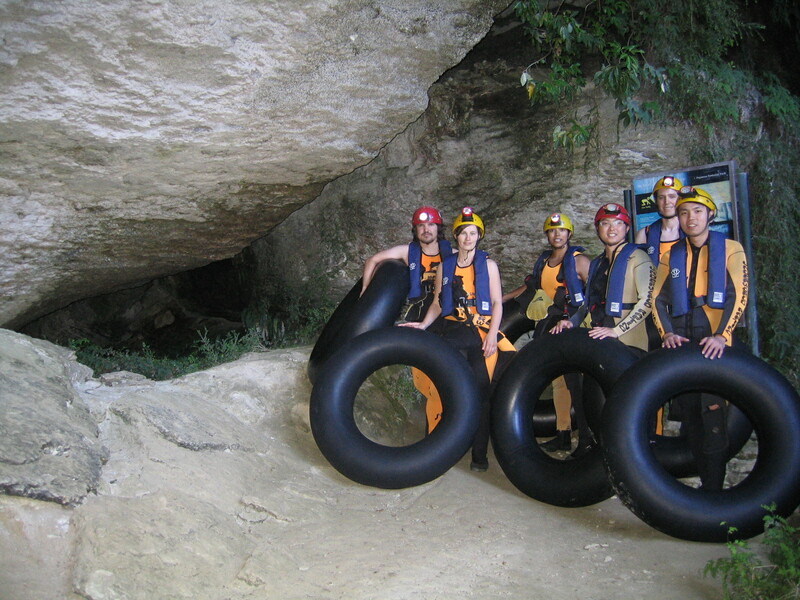 Getting off Cecil, every one of us carried a rubber tube in our wet suits and hiked up a steep hill. Our guides were superb. They were well-informed and helpful. They even had to sing and tell jokes to entertain us. We were brought into these dark caves, filled with many unique rock formations. Then, the real fun begins when we drift into a fabulously illuminated glowworm cave. The experience is priceless. To be able to witness such beauty brings out a deep appreciation to nature. 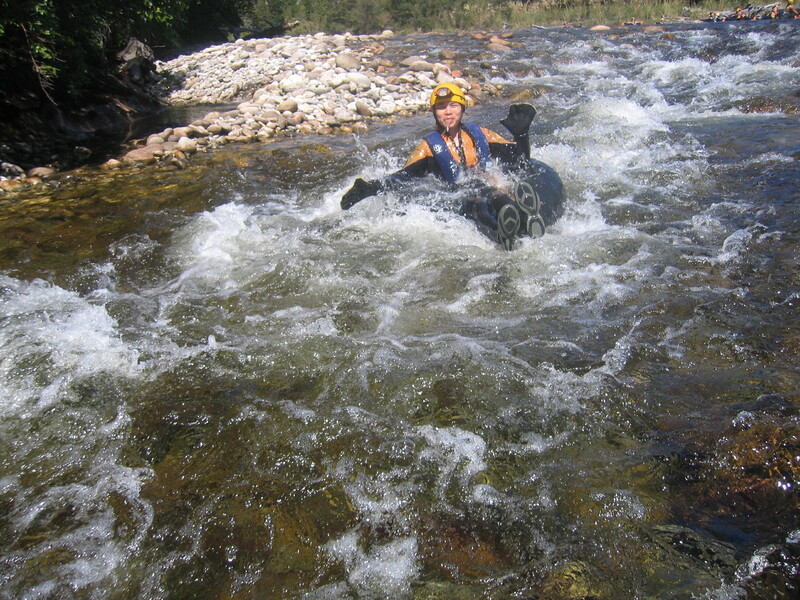 Our trip ended with us shooting the rapids, complete with happy cheers and shrieking screams. NZ IS TRULY A BACKPACKERS PARADISE. We were staying mostly at either BBH or YHA hostels throughout our trip, and I find most of the hostels above average standards. However, the Global Backpackers in Greymouth surpassed all our expectations and more. 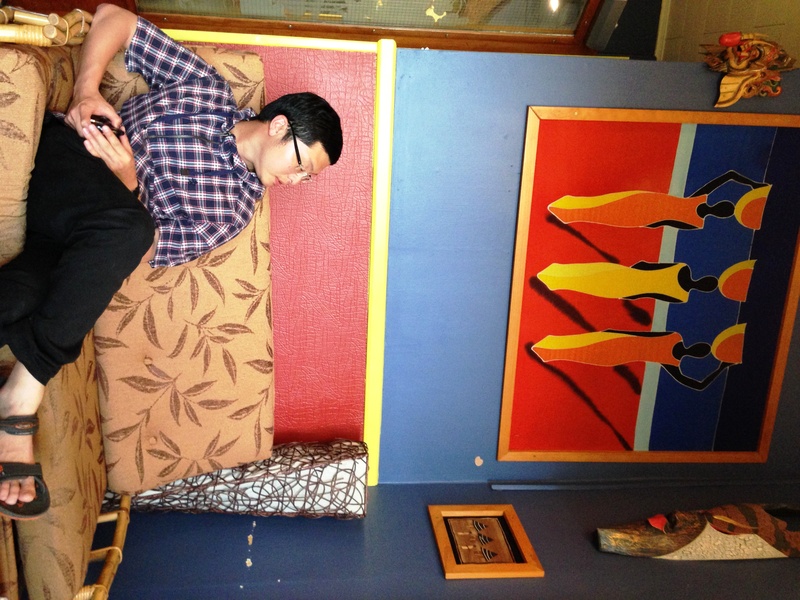 This vibrant looking hostel has a charming appearance, a hospitable host and a funky vibe. The decorations are from Asia and Africa, things that our hosts brought back from their extensive travel. There are many details in its furniture design that makes it user-friendly and homey. The kitchen is well-equipped and fully stocked. I in particular love the various lounges that allow guests to sit back, relax and do nothing. Eric and I agreed that this was in no doubt the best day of our trip. 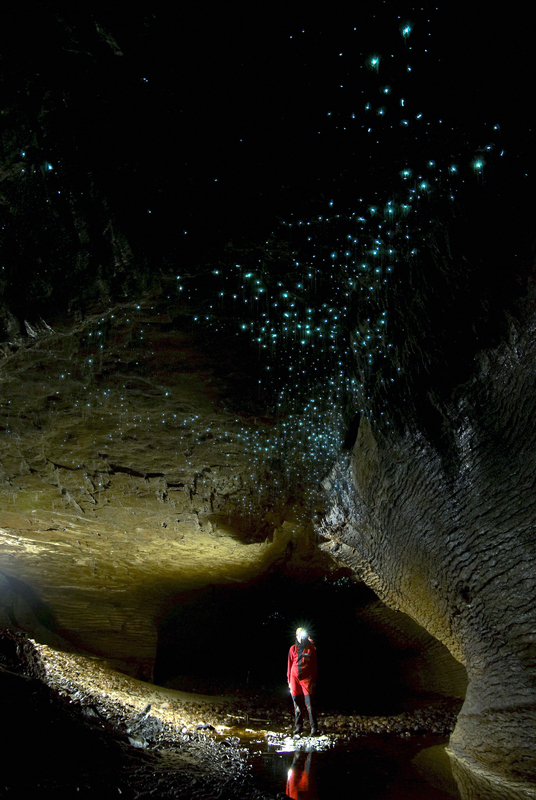 The glowworms were so pretty they are now a part of my happy memory. And what is the best way to end a perfect day? 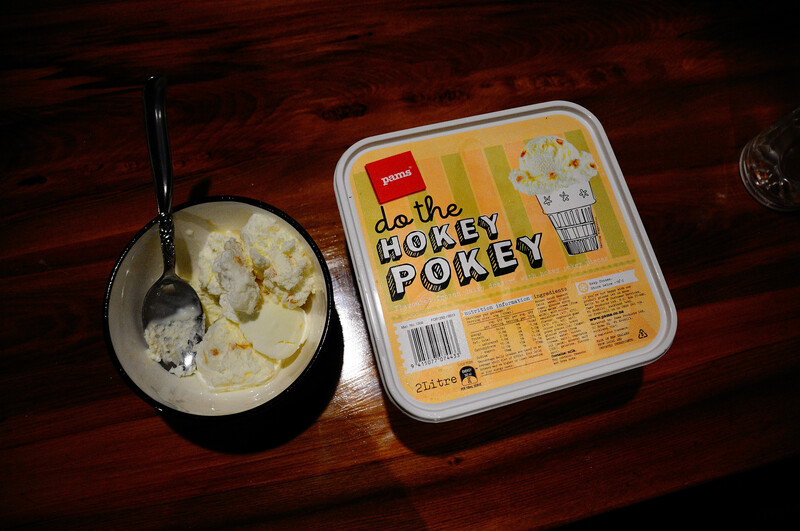 Spoonfuls of sinful ice-cream!